How does social media figure into the future of documentary film? If you are planning to attend Podcamp Boston 4 this weekend, I invite you to help answer a question that’s been on my mind during a session I will facilitate on Saturday: How does social media figure into the future of documentary film? @ 2:45 – 3:30 P.M. in the Ballroom on Saturday. 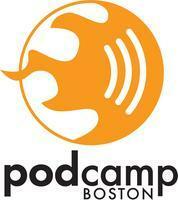 Please be sure to follow @podcampboston on Twitter for up to the minute changes/details.